Specify a meaning name > Click Change to Set Schedule (Because It’s not recommended to perform the shrink operation periodically. Thence I don’t need to build schedule. (only on demand). > Next. Leave tasks with the same order. Below Free space options > Check Change free space per page with 80 %. Below Advanced options > Check Sort results in tempdb >Next. Again, Define Update Statistic task for the database that you need to shrink its transaction log file. (The Update Statistics task ensures the query optimizer has up-to-date information about the distribution of data values in the tables. This allows the optimizer to make better judgments about data access strategies. )> OK.
On the Define Maintenance Cleanup Task page, set the values that meet your needs (The Maintenance Cleanup task removes files left over from executing a maintenance plan.) > click Next. Go back to Management section to ensure that the Maintenance plan and its job have been created successfully. In Management Section, Double click to check the Maintenance Plan steps. Now, the Maintenance Plan has been created with only Rebuild ,Update Statistic, and Maintenance Cleanup Task so What about the Shrink log file step?! Right click on Maintenance plan job > Properties. Select Steps Page > Insert. 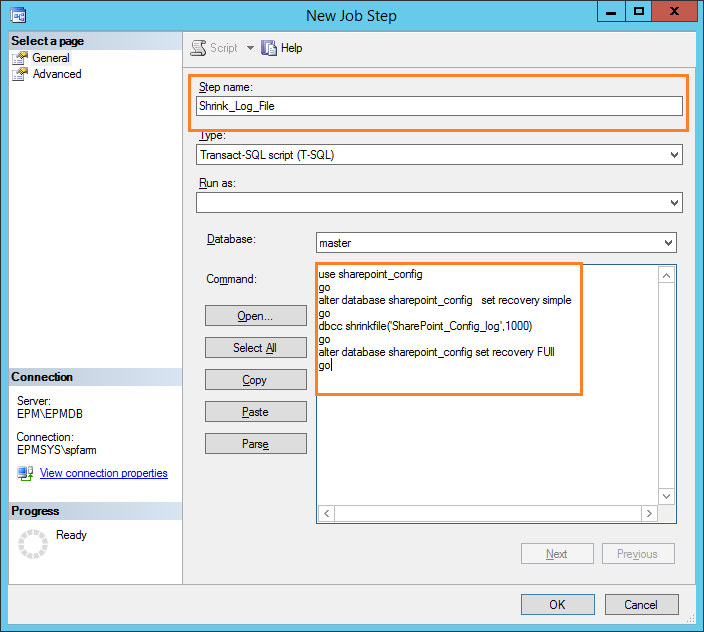 Specify step name, Paste the following code based on your database info. Note: 100 is called the target_size for the file in megabytes, expressed as an integer. If not specified, DBCC SHRINKFILE reduces the size to the default file size. The default size is the size specified when the file was created. Click OK > Ensure that it’s the first step before all other steps that have already created before in Maintenance plan. The following warning will be shown that mean the new shrink log file step will not be added to Maintenance plan diagram > Click Yes. Now try to run the maintenance plan on demand, It’s recommended to run it out off the working hours. Again, make sure that the Shrink step before other steps > Click Start. Wait till the job has been completed successfully. The physical log file size should be now reduced, and the index has been rebuilt. The Maintenance Cleanup task removes files left over from executing a maintenance plan. Index rebuilding process uses more CPU and it locks the database resources. So I advise running the maintenance plan out off the working hours. *To check the index fragmentation. 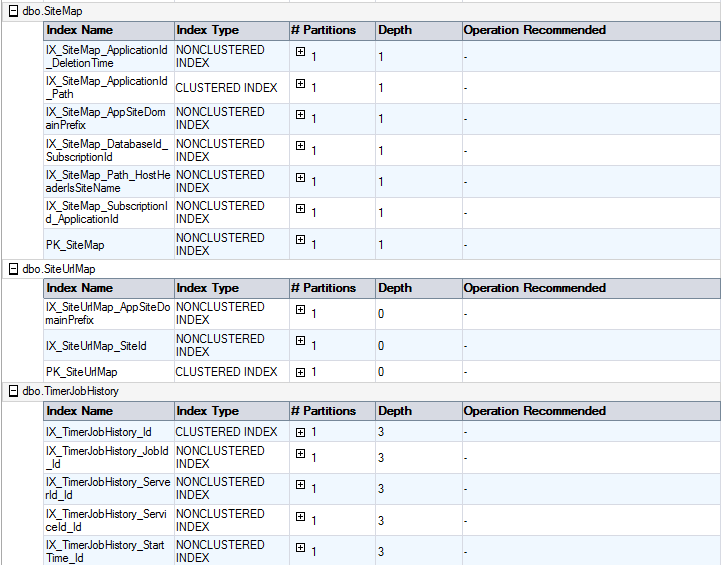 Right Click on Database > Reports > Standard Reports> Index Physical Statistic to check index fragmentation. Note : In Some cases, Even if you rebuild the index, it would still recommend Rebuild in operation to recommend column,So Index should be rebuild when index fragmentation is great than 40%. Index should be reorganized when index fragmentation is between 10% to 40% based on Index Physical Report.